GR-210 Storage Cabinet Labels for the Advanced Elementary (Labels Only). 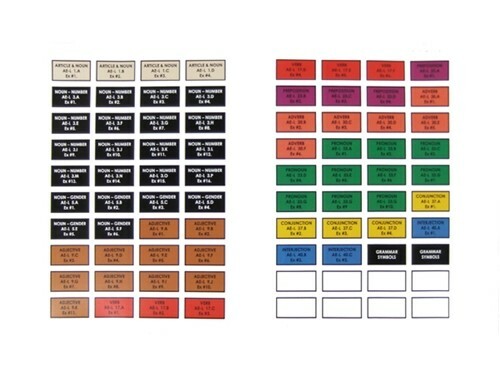 These adhesive labels are color-coded to match the colors of the Montessori grammar symbols. Each label measures 1 3/4" (W) x 1" (H). Crop marks are provided for cutting the labels (paper cutter recommended).